Masonry’s greatest energy design benefits are achieved by looking beyond the material as a finish and instead matching masonry systems to energy performance outcomes. 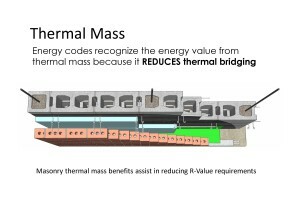 At the building enclosure, masonry’s major benefit to energy design is the reduction of thermal transfer that allows for a more efficient building envelope. 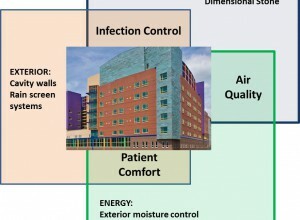 IMI’s Healthcare Initiative highlights how masonry systems address goals related to infection control, energy savings, support to continuous operability, flexibility and patient and staff health and wellbeing. By identifying masonry attributes that best match healthcare concerns, IMI tools promote the best use of masonry in healthcare projects. Masonry construction provides the greatest level of sustainable contribution when recognized as a system that addresses energy performance, interior air quality, and the management of materials and resources. IMI’s LEED™ Checklist offers a way to best understand how masonry can assist the goals of meeting a LEED specific intent. To improve the value of a masonry contractor on sustainable projects, IMI created it’s Sustainable Masonry Certification Program (SMCP). For a copy of the LEED™ Checklist, or more information on IMI’s Sustainable Masonry Certification Program, email greenmasonry@imiweb.org.